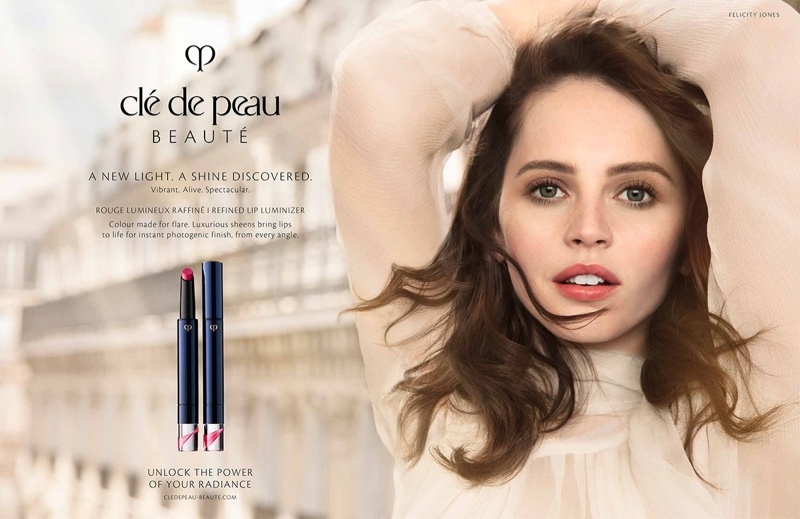 Felicity Jones returns for another season as the face of luxury cosmetics brand Clé de Peau Beauté. The spring-summer 2019 campaign features skincare and makeup products. Photographed by Inez & Vinoodh, Felicity shows off flawless skin alongside lip color, foundation and face cream. Alex White styles the shoot with hair by Odile Gilbert and Lucia Pieroni on makeup. In addition to the print advertisements, the British actress also stars in a short film featured below.